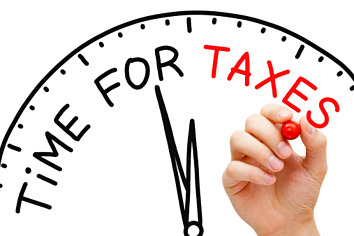 Tax season is here and we all want to deduct every last penny we can find. If you’re a member of a homeowners association, have you ever considered whether or not the HOA fees you pay are tax deductible? Every HOA is different, so you’ll want to find out what applies to your specific Association. In general, members of an HOA commit to paying HOA fees or dues. These fees usually pay for the maintenance of shared amenities such as the swimming pool, landscaping, trash removal, etc. or are set aside in a savings account (also known as a reserve fund) for future big-ticket items. In many Associations, these dues are typically not 100% deductible, but you may be able to claim or write off a portion of them. Learn more in the article below. Any portion of your HOA dues that go to something that you could deduct if you paid it yourself is tax deductible. For example, if your HOA technically owns the land surrounding the buildings in your development, the HOA would be responsible for paying the property taxes on that land. You could then deduct the portion of your HOA dues that correspond to the property taxes along with the deduction that you claim on the property taxes that you pay for your unit or home. When you have a home office, you can write off a share of all of your home's expenses that corresponds to your home office's share of your home's total area. In other words, if your home office takes up 15 percent of your house, you can write off 15 percent of everything you spend on your home, including utility bills, repairs, and services. This includes writing off an equal proportional share of your entire HOA payment, regardless of what the HOA spends the dues on. Investment properties are treated completely differently from your home. With an investment property, you get to write off all of the operating expenses that you incur in owning the property. In other words, if your investment property is subject to HOA dues, you can write off 100 percent of those dues on your Schedule E form. To find out for sure whether or not you can deduct HOA fees, it’s recommended that you speak to a tax professional. Every little bit counts, but remember that ultimately, the purpose of paying HOA fees is to contribute to a safer, cleaner, and positive homeowners association community.